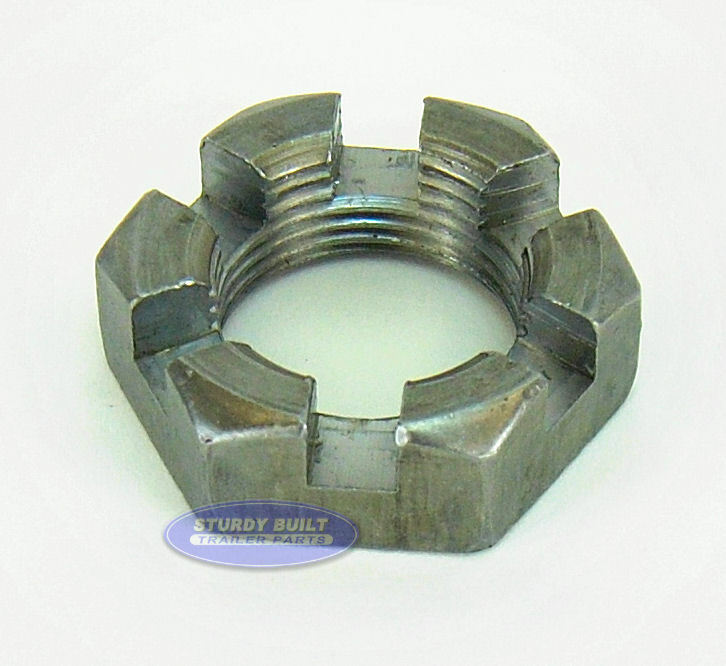 This a Axle Castle Nut used to secure your trailers Hub and Bearings onto your Spindle. 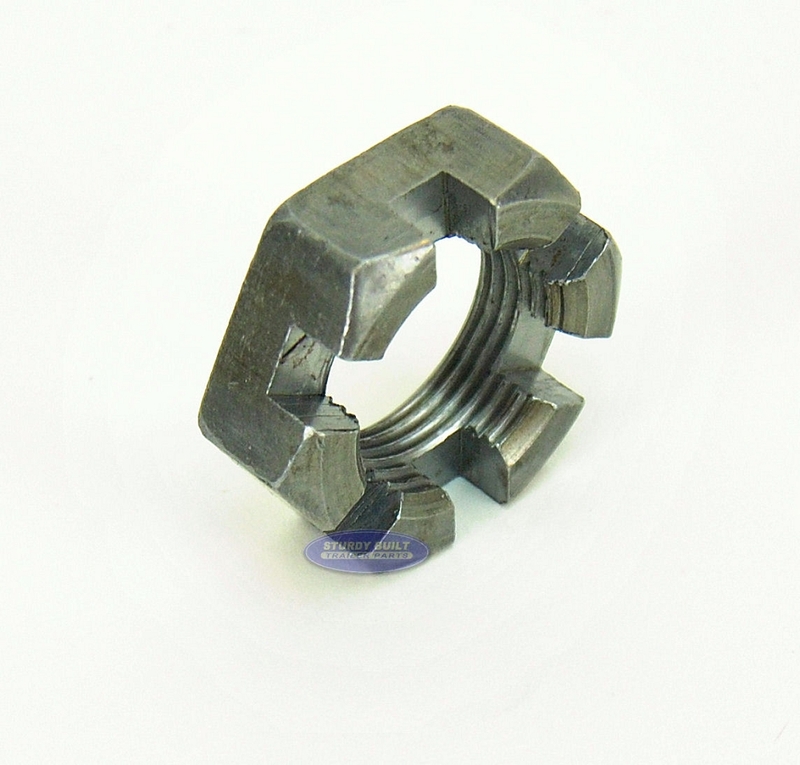 This is 1" - 14 thread standard castle nut that will work on nearly all trailer axles. This size and thread is very standard. The Castle style is used with both Cotter Pins and Tang Washers to secure your assembly effectively. 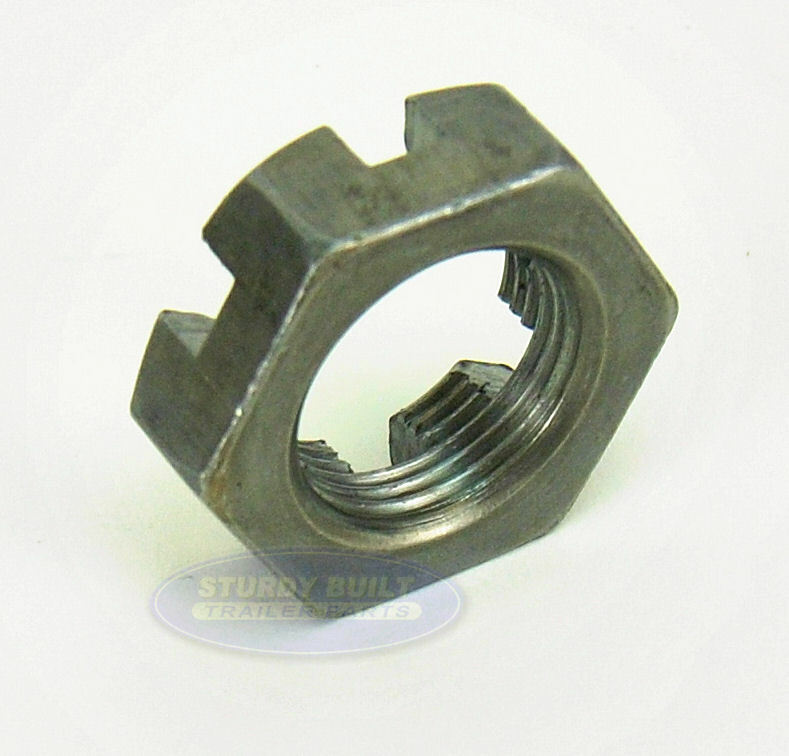 This nut is the last thing that is installed onto your spindle, and once secured, allows your to install your Dust Cap and finish your project.